In each of the 5 2019 Hyundai Sonata configurations, you’ll find plenty of room for up to 5 passengers to ride in comfort. Some to the comfortable features in this mid-size sedan are supportive front seats and generous legroom to allow adults to stretch out and enjoy longer trips. You’ll also find nearly 16 cubic feet of cargo space, which is larger than most competitors in its category. Standard on the 2019 Sonata SE, SEL, Sport, Limited and Limited 2.0T is a 7-inch touchscreen display, a USB port, a 6-speaker sound system and Bluetooth® connectivity. Staying connected is important, and the Android Auto™ and Apple CarPlay™ smartphone integration systems keep you in sync with all of your devices. Available Hyundai features include the Hyundai Blue Link telemetric system as well as an 8-inch touchscreen, navigation, an Infinity 9-speaker premium sound system and satellite radio. Best of all, the user-friendly interface of the infotainment system delivers a highly functional and intuitive experience. To fit your driving needs perfectly, the 2019 Hyundai Sonata offers 3 powertrain options — the standard 185-horsepower 4-cylinder engine configuration, a lively 178-horsepower turbo 4-cylinder and the powerful 245-horsepower turbo 4-cylinder. With the base engine option, you can expect an EPA-estimated 25 MPG in the city and 33 MPG on the highway. The 2019 Hyundai Sonata is also offered in the fuel-efficient Sonata Eco model, which boasts an impressive 28 MPG in the city and 37 MPG on the highway, according to EPA estimates. The end result is a solid performer more than capable of the work commute or road trip. If you want a car that is both highly dependable and exceptionally safe to drive, look no further than the 2019 Hyundai Sonata. In fact, every Hyundai Sonata is covered by a 5-year/60,000-mile new vehicle limited warranty in addition to the 10-year/100,000-mile powertrain warranty. The Hyundai Sonata also earns top ranks for safety and took home a perfect 5-star overall crash test rating from the National Highway Traffic Safety Administration. Standard safety on the 2019 Sonata includes lane change assist, rear cross traffic alert, rearview camera and blind spot monitoring. Available safety features include adaptive cruise control, rear-parking sensors, automatic emergency braking, pedestrian detection, lane keep assist and more. When you’re ready to test-drive your 2019 Hyundai Sonata in the Reno and Carson City area, Lithia Hyundai should be at the very top of your list. We’ve got a huge selection of new Hyundai’s, Certified Pre-Owned cars, trucks, SUVs, a variety of used cars for sale and of course — brand-new Hyundai Sonata models. You’ll also get our honest, hassle-free pricing and a shopping experience that will leave you driving off with a smile. 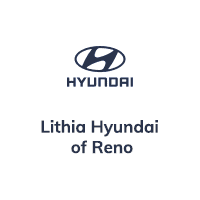 Plus, Lithia Hyundai of Reno offers the friendliest financing options in the area so you’ll always get an affordable payment that meets your needs. Give us a call today to schedule your 2019 Hyundai Sonata test-drive today or just click the button below. We look forward to serving you soon!